Creatures from beneath the vast oceans, majestic birds that once took to the skies, behemoths that used to trample on the vast grounds; now reduced to the exhibits of museums the world over. Extinction is a very real threat that often rears its ugly head; at the expense of our actions that have lasting consequences. From the passenger pigeon that was driven to extinction due to our insatiable appetite for cheap poultry to the western black rhinoceros whose horns were poached for the greed of mankind; the list of our misdeeds continue taking its toll. Once a force in sheer numbers, passenger pigeons used to terrorise the skies, often darkening it with an ominous formation of birds. At the very pinnacle of their popularity, their numbers skyrocketed up to five billion, making these flocks the most populous species of birds on Earth! What changed? The arrival and insatiable appetite of Europeans were their downfall. They hunted these harmless birds on a vast scale as a cheap source of meat. 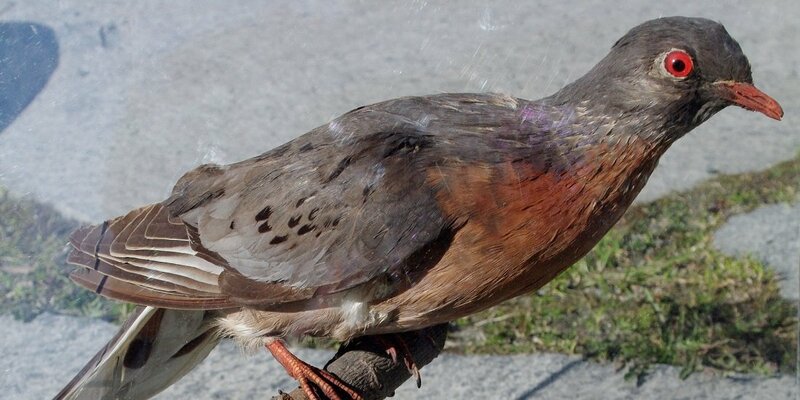 Their numbers were decimated as tens of millions of passenger pigeons were slaughtered each year, with the last sighting of the species last seen in 1901. Closest Living Kin: Passenger pigeons are closely related to the Patagioenas, a category of New World pigeons that encompasses of 17 species. Undoubtedly the most iconic of all extinct species, the dodo owes much of its popularity to its induction to pop culture. Case in point; Alice’s Adventures in Wonderland where Pat the Dodo made a brief cameo to cement its place in the cartoon history books. 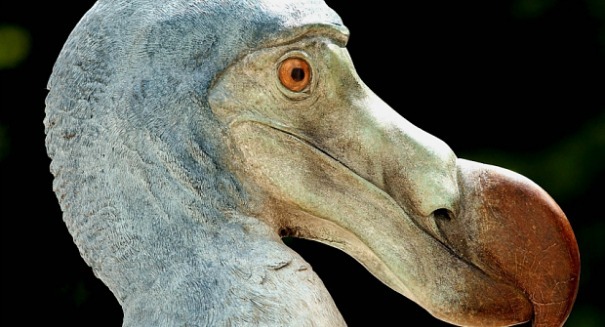 Of Mauritius origins, the dodo’s life on Earth was short-lived. Driven to extinction in just a few decades, they were first sighted by Dutch sailors in 1598 with the very last sighting of these flightless birds in 1662. Although its numbers were booming back in the 17th century, there remains very little evidence of its existence in museums today. Its full form was once preserved under the collection of John Tradescant but he bequeathed it to the museum of Ashmolean Museum in Oxford where its condition quickly withered away and by 1755; it was burnt to ashes in a bonfire. Closest Living Kin: The Nicobar pigeon, found in the Nicobar Islands and Andaman, India. A subspecies of the black rhino, Western Black Rhinoceros once stomped on the grounds of sub-Saharan Africa, but quickly fell prey to vast poaching. Its numbers were in the hundreds in 1980, but fell to 10 by 2000, and only 5 just a year later. Efforts to locate their kind were made in 2006 but to no avail and they were declared extinct in 2011. Closest Living Kin: Similar to its namesake, the black rhinoceros, of Eastern and Southern Africa origins, are critically endangered. A subspecies of the Spanish ibex, the Pyrenean ibex has been extinct since 2000. They were once common in numbers but quickly declined in the 19th and 20th centuries. Until today, the reason behind their decline remain unresolved. That was until 2003, where they were brought back to life after a scientist managed to clone a female, but it died just minutes after being born. The Western and Spanish ibex of Picos de Europa and Sierra Nevada origins. One part zebra, one part horse. Or at least that what it appears to be. 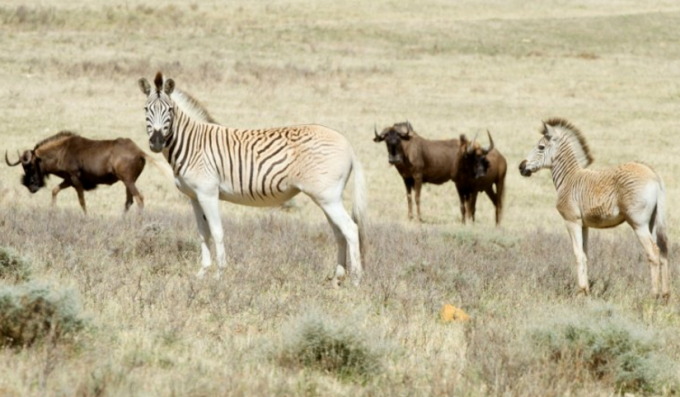 The quagga belong to a subspecies of plains zebra that once lived in South Africa. They were overly hunted by Dutch settlers after they found it directly competing with domesticated animals for food. Quaggas went extinct in the wild by 1878, with the last captive specimen in Amsterdam in 1883. Closest Living Kin: The Burchell’s zebra, currently flourishing in Namibia’s Etosha National Park.